I have no words. That quadruples the stupidity of the kid that put a massive dragon vinyl on a mugen..
Seen this car around town a couple times now, thought it was time to post up this guy's rendition of the fast and the furious. The thing is those are practicably art cars, and actually well done for what they are. I think some of the things they do is interesting. That said, everybody has their own rice line. some of those motorcycles look pretty cool. im not so sure about the cars though. kind of a weird trend. they seem like the lowriders of japanese culture. Last edited by Nismothecat; 02-22-2011 at 12:00 AM. OH SNAP!!! No sh!t. This dude challenged me to a race last summer. He came up to my shop all big and bad. One of my guys with a 7th gen spanked him that night. I wondered what happen to this guy. He provided some much needed hilarity for us on slow days. na it was the fenders didn't line up with the body or bumper. it was terrible. I actually cut him out of the picture lol. this was a meet in Queens so not sure where he's from. That civic has more gauges and buttons than the Millennium Falcon. I used to own this thread. Times they have a changed. HAHAHAHA it may just be me but it looks like it was keyed! Dude needs to stop selling drugs and get a job. I posted that sti on my facebook and it received an overwhelming response of hate. even his taste in music is horrendous. What's the quickest way to destroy a $40,000 car's handling, performance, safety, and value? 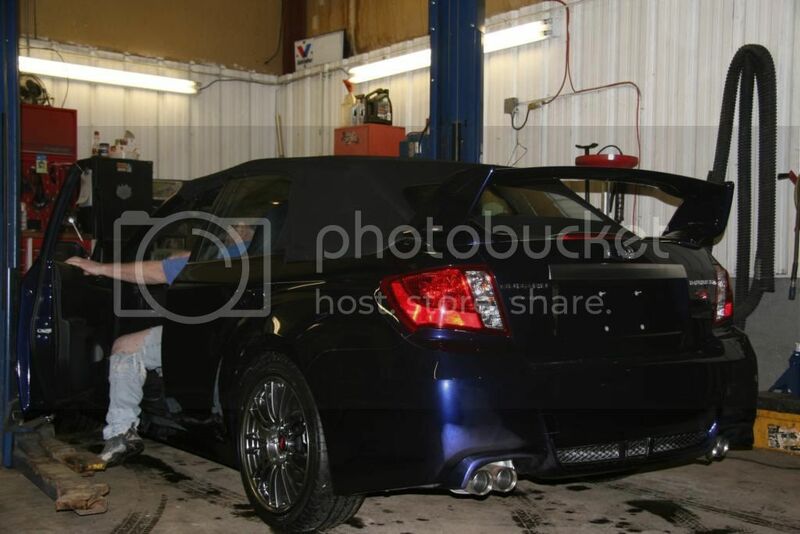 I am a Subaru owner and this was posted on my Subaru forum. 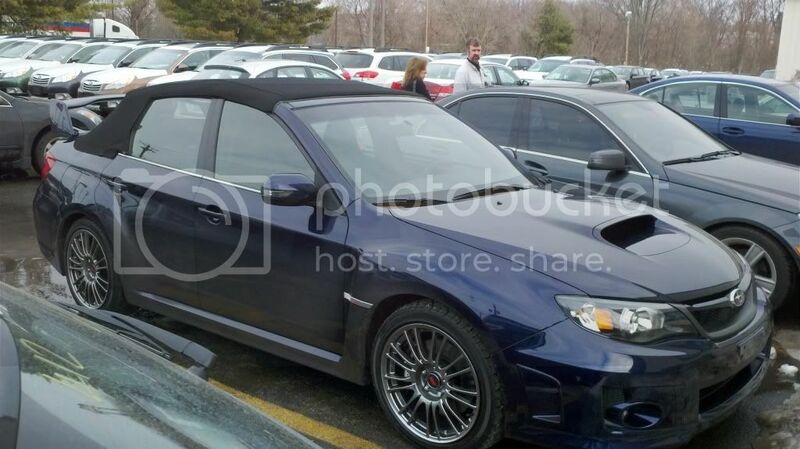 They are selling one at a dealership somewhere in the New England area..
"Manchester Subaru is selling the car for $90K. And that it cost about $40K to do the conversion"
Last edited by Red_Devil; 02-25-2011 at 09:57 AM. good lord. If that thing costs any more than 10g's it's a crime. They've ruined the car. It's only good for parts. 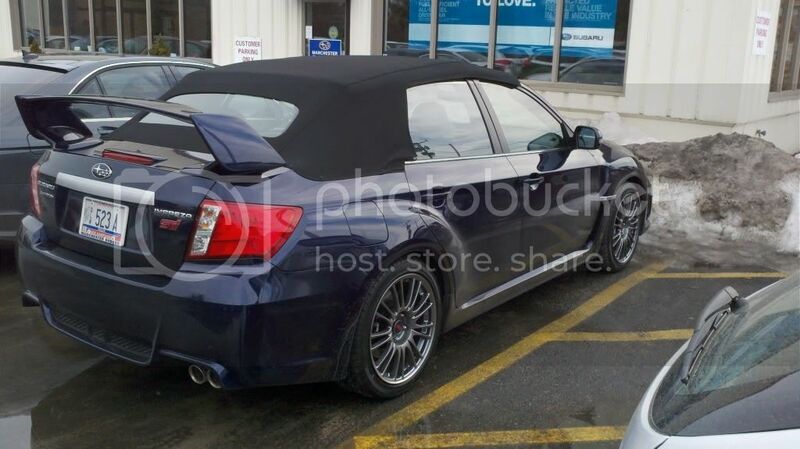 Price has not been "confirmed" but that's what I heard via my Subaru forum.